Sooner or later academic writers will likely encounter a German book or article title with a dash of some sort within it, which raises the question: what is the proper way to format the title in an English-language work citing that book or article? This post illustrates the issue and suggests a preliminary answer. In 2017 Walter Dietrich edited a volume for Kohlhammer Verlag. 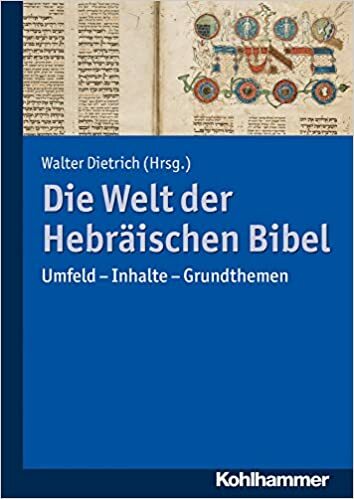 According to the book page on Kohlhammer’s website (see here), the book is titled Die Welt der Hebräischen Bibel: Umfeld – Inhalte – Grundthemen. WorldCat, the OCLC-maintained online library catalog, agrees with the use of hyphens, each preceded and followed by a space, between the three words of the subtitle (see here). The Library of Congress, however, replaces the hyphens with commas (see here). Although we are not prepared to offer a final answer as to which of these is most correct (we invite scholars and especially publishers from a German-language context to weigh in on the matter), our preliminary advice is to follow the format of number 2 above: space + en dash + space. We prefer this option because it adheres most closely to the standard German use and formatting of en dashes. Where English prose often uses an em dash when one would expect a comma (see CMS 6.85), German prefers an en dash. Further, whereas in English the em dash is not preceded or followed by a space but is set tight against the preceding and following words, the German en dash is characteristically formatted with a space before and a space after. Therefore, until we are informed and convinced otherwise, we recommend that writers adhere to standard German usage and format their citations of German-language titles that use dashes between words as shown in number 2 above, with an en dash preceded and followed by a space. If this recommendation should change, we will alert blog readers in a subsequent post. I worked as a bibliographer in religion and biblical studies in the 1980s and have taught academic writing for nearly 40 years. 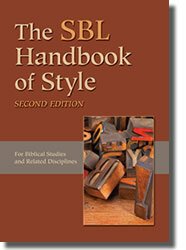 The working standard with regard to non-English Latin-letter titles has generally been this: a citation must exactly reproduce the spelling of the title (and other bibliographically relevant elements, except place of publication, which is always reverted to English-language equivalent; e.g., Munich, not Muenchen); its punctuation, however, is always replaced with the standard of the style sheet of the publication it will appear in.